"EGOT" redirects here. For other uses, see EGOT (disambiguation). The EGOT acronym was coined by actor Philip Michael Thomas in late 1984, when his role on the new hit show Miami Vice brought instant fame, stating a desire to complete his own EGOT-winning collection. When coining the acronym, Thomas stated that it also means "energy, growth, opportunity and talent". However, he also intended that the "E" should only stand for the Primetime Emmy Award, and not a Daytime Emmy nor any of the awards presented at the other types of Emmy ceremonies. Nevertheless, two of the 15 people listed as EGOT winners have won only the Daytime Emmy. None of the 15 EGOT winners have actually won the awards in the acronym's order (first an Emmy, then a Grammy, then an Oscar, and finally a Tony). The closest person has been Robert Lopez, who won the "grand slam" in TEGO order. To date, fifteen individuals have won all four awards in competitive categories. ^1 The artist also subsequently won one or more additional competitive awards. ^2 The artist also received one or more honorary or non-competitive awards. ^3 The artist also earned the Triple Crown of Acting, with singular (non-group/ensemble/company) acting wins in the Emmy, Oscar and Tony awards. ^4 The artist has won a Daytime Emmy Award, not a Primetime Emmy Award. ^5 The artist was awarded posthumously. ^6 The artist has subsequently achieved multiple EGOTs. Six other artists – Liza Minnelli, James Earl Jones, Barbra Streisand, Alan Menken, Harry Belafonte and Quincy Jones – have also received all four awards, but at least one of the awards was non-competitive, i.e. special or honorary in nature (Streisand's Tony, both Jones' Oscars, Minnelli's Grammy, Menken's Emmy, and Belafonte's Oscar). The following are the six artists who also have won the four major awards but not exclusively in the main competitive categories. In 1962, Richard Rodgers became the first person to win all four awards. 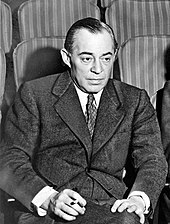 Richard Rodgers (1902–1979), a composer, received his fourth distinct award in 1962. Between 1945 and 1979, Rodgers received a total of 13 awards. 1962: Special Tony Award "for all he has done for young people in the theatre and for taking the men of the orchestra out of the pit and putting them onstage in No Strings"
Helen Hayes became the second person and first woman to win all four awards in 1977. Helen Hayes (1900–1993), an actress, received her fourth distinct award in 1977. Between 1932 and 1980, Hayes received a total of 7 awards. She was the first woman to win all four. Hayes was also the first person to win the Triple Crown of Acting, with singular (non-group/ensemble/company) acting wins in each of the Emmy, Oscar and Tony awards, winning her third in 1953. Counting only the first award of each type, she also has the distinction of the longest timespan (45 years) between her first and fourth award of any showbiz Grand Slam winner. 1953: Best Actress – Schlitz Playhouse of Stars for the episode "Not a Chance"
Rita Moreno became the third person and first Latino person to win all four awards in 1977. Rita Moreno (born 1931), an actress, received her fourth distinct award in 1977. Between 1961 and 1978, Moreno received a total of five awards. She is also the first Hispanic winner and the first winner to win a Grammy as their second award (both previous winners won Tonys as their second award). In addition, she became a Kennedy Center Honoree in 2015 and on March 28, 2019 it was announced that she will receive a Peabody Award. 1978: Outstanding Lead Actress for a Single Appearance in a Drama or Comedy Series – The Rockford Files for the episode "The Paper Palace"
In 1991, John Gielgud became the fourth person and, at age 87, the oldest person to win all four awards. John Gielgud (1904–2000), an actor, received his fourth distinct award in 1991. Between 1948 and 1991, Gielgud received a total of six awards. Gielgud was the first winner to win any award other than the Oscar as their first award (his first award was a Tony). At age 87 when he won his Emmy, he was also the oldest winner. 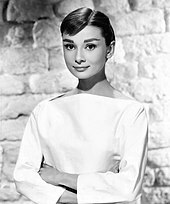 1959: Special Tony Award "for contribution to theatre for his extraordinary insight into the writings of Shakespeare as demonstrated in his one-man play Ages of Man"
Audrey Hepburn became the fifth person to win all four awards, and the first to complete it posthumously. Audrey Hepburn (1929–1993), an actress, received her fourth distinct award posthumously in 1994. Between 1953 and 1994, Hepburn received a total of six awards. She was the fifth person to complete the feat and the first to do so posthumously. She was also the first winner to win two of their awards in consecutive awards shows (the 1994 Grammys were the first Grammys since her posthumous win at the 1993 Emmys). She is one of the only two EGOT winners (the other being Jonathan Tunick) to not win multiple awards in any of the four award fields. Marvin Hamlisch (shown with his wife Terre Blair) became the sixth person to win all four awards in 1995. He has the most Oscars of any EGOT winners. Marvin Hamlisch (1944–2012), a composer, received his fourth distinct award in 1995. Between 1973 and 2001, Hamlisch received a total of 12 awards. Hamlisch has the most Oscars of any Grand Slam winners (three). In 1974 he became the first winner to have won a "General Field" Grammy – taking Song of the Year and Best New Artist. He was also the first Grand Slam winner to have won multiple legs of the feat for the same work – an Oscar and a Grammy for song "The Way We Were". 1973: Best Music, Original Song – "The Way We Were"
1974: Song of the Year – "The Way We Were"
1974: Best Pop Instrumental Performance – "The Entertainer"
Jonathan Tunick (born 1938), a composer, conductor, and music arranger, received his fourth distinct award in 1997. Between 1977 and 1997, Tunick received a total of four awards. Tunick is the first Grand Slam winner to have won an Emmy as their second award as well as the first to win the Tony as their fourth award. He is also the second person (after Audrey Hepburn) to not win any multiple awards in any of the four award fields. Mel Brooks became the eighth person to win all four awards in 2001 as well as the first person to win the Emmy as the first of the four awards. Mel Brooks (born 1926), a director, writer and actor, received his fourth distinct award in June 2001. Between 1968 and 2002, Brooks received a total of 11 awards. Brooks was the first person to win the Emmy as the first award, and the first winner to have won his Oscar for screenwriting. When he appeared on the January 30, 2015 episode of Real Time with Bill Maher, Brooks called himself an EGOTAK, noting that he had also received awards from the American Film Institute and Kennedy Center. Mike Nichols became the ninth person to win all four awards, and had the longest timespan - fifty-one years - of all the grand slam winners. Mike Nichols (1931–2014), a director, actor and comedian, received his fourth distinct award in November 2001. Between 1961 and 2012, Nichols received a total of 15 awards. Nichols was the first slam winner to win the Grammy as their first award, the first winner to have won multiple awards (an Oscar, several Tonys, and two Emmys) for directing. When counting all awards won—not just the first of each type—Nichols has the longest timespan of awards among Grand Slam winners, at 51 years. Whoopi Goldberg became the tenth winner, first winner to win two of their awards in the same year, and first African American winner, in 2002. Whoopi Goldberg (born 1955), an actress, comedian and talk-show host, received her fourth distinct award in 2002. Between 1985 and 2009, Goldberg received a total of 6 awards. Goldberg is the first African American winner, the first to win the Oscar as their second award, and the first to win two of their awards in the same year (she won both her first Daytime Emmy and her Tony in 2002). Notes: Although she has not won a competitive Primetime Emmy award, she has been nominated several times. The fact that she does not have a competitive Primetime Emmy Award has led to debate over her inclusion in the "official list." In the 30 Rock episode "Dealbreakers Talk Show*#0001", Goldberg (playing herself) addresses this when questioned by character Tracy Jordan about her Daytime Emmy: "It still counts! Girl's gotta eat!" Scott Rudin (born 1958) received his fourth distinct award in 2012. Between 1984 and 2017, Rudin received a total of 18 awards making him the record holder for most awards won among the people who have won all four awards in competitive categories. Rudin is the first winner who is primarily a producer. 2002: Best Play – The Goat, or Who Is Sylvia? 2017: Best Revival of a Musical – Hello, Dolly! Robert Lopez (right, shown with Avenue Q partner Jeff Marx) became the twelfth person to win all four awards, the first Filipino and Asian and the youngest person to achieve this feat, the fastest to achieve the feat (10 years), and the only person to achieve multiple EGOTs. Robert Lopez (born 1975), a songwriter, received his fourth distinct award in 2014. Between 2004 and 2018, Lopez received a total of 10 awards. Like fellow EGOT winner Whoopi Goldberg, his Emmy awards are Daytime Emmys (although he has been nominated for three competitive Primetime Emmy awards). Lopez is the first Filipino and Asian to achieve this feat. He is also the youngest winner to receive all four awards in competitive categories, as well as the fastest to complete his qualifying run of EGOT award wins (10 years). He received his Grammy Award for The Book of Mormon in collaboration with fellow EGOT winner Scott Rudin (among others), making them the first pair of Grand Slam winners to have been co-winners of the same award. Lopez is also the first person to have won the Oscar last, which he won with his wife Kristen Anderson-Lopez. He is also the first winner to also win the so-called "Double EGOT", winning each EGOT award twice. Legend is the first black male to reach EGOT status. John Legend (born 1978), a musician and producer, received his fourth distinct award in 2018. Between 2006 and 2018, Legend received a total of 13 awards. Legend has won the most Grammy awards, 10, of any EGOT recipient, and is the second recipient, after Marvin Hamlisch, who is primarily a musician. In addition to being the first black man to achieve EGOT status, Legend is the first person to receive the four awards in four consecutive years. Legend, Andrew Lloyd Webber, and Tim Rice all simultaneously became EGOT recipients on September 9, 2018, when they were collectively awarded the Primetime Emmy Award for Outstanding Variety Special (Live) for Jesus Christ Superstar Live in Concert. 2006: Best Male R&B Vocal Performance – "Ordinary People"
2007: Best Male R&B Vocal Performance – "Heaven"
2007: Best R&B Performance by a Duo or Group with Vocals – "Family Affair"
2009: Best R&B Performance by a Duo or Group with Vocals – "Stay with Me (By the Sea)"
2011: Best R&B Song – "Shine"
2011: Best Traditional R&B Vocal Performance – "Hang on in There"
2011: Best R&B Album – Wake Up! 2016: Best Song Written for Visual Media – "Glory"
Andrew Lloyd Webber (born 1948), a musical theatre composer, songwriter and producer, received his fourth distinct award in 2018. Between 1980 and 2018, Lloyd Webber received a total of 13 awards. Tim Rice (born 1944), a lyricist and producer, received his fourth distinct award in 2018. Between 1980 and 2018, Rice received a total of 12 awards, and shares some of his awards with his regular collaborator Andrew Lloyd Webber. 1993: Song of the Year – "A Whole New World (Aladdin's Theme)"
1993: Best Song Written Specifically for a Motion Picture or Television – "A Whole New World (Aladdin's Theme)"
Barbra Streisand became the youngest winner in 1970 at the age of 28. With just seven years elapsing between her first Grammy and her Tony, she also completed the feat in the shortest amount of time of any winner. However her Tony is a non-competitive award. Barbra Streisand (born 1942), a singer and actress, received her fourth distinct award in 1970. Between 1963 and 2001, Streisand received a total of 18 awards. Having completed the showbiz Grand Slam at age 28, she is the youngest winner, and with just six years elapsing between her first award (a 1964 Grammy) and her final award (a 1970 Special Tony), Streisand also completed the Grand Slam in the shortest amount of time. She is also the only winner to have won an Oscar in both a music and an acting category. She is also the only winner to have won all of her competitive awards for her debut performances (her first musical album, feature film and television special, respectively). In addition, she also received the Peabody Award, the AFI Life Achievement Award, the Kennedy Center Honor, the Cecil B. DeMille Award, the National Medal of Arts, the American Society of Cinematographers Board of Governors Award, and the Presidential Medal of Freedom. 1976: Best Music, Song – "Evergreen (Love Theme from A Star Is Born)"
1977: Best Pop Vocal Performance, Female – "Evergreen (Love Theme from A Star Is Born)"
1977: Song Of The Year – "Evergreen (Love Theme from A Star Is Born)"
Liza Minnelli has each of the four awards, having won her fourth in 1990, but her Grammy is a non-competitive award. Liza Minnelli (born 1946), an actress and singer, received her fourth distinct award in 1990. Between 1965 and 2009, Minnelli received a total of 7 awards. 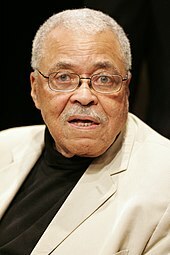 James Earl Jones has each of the four awards, having won his fourth in 2012, but his Oscar is a non-competitive award. James Earl Jones (born 1931), an actor, received his fourth distinct award in 2011. Between 1969 and 2011, Jones received a total of 7 awards. 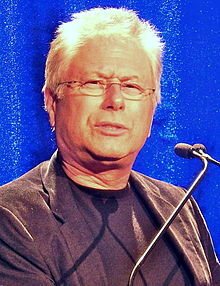 Alan Menken (born 1949), composer and songwriter, received his fourth distinct award in 2012. Between 1989 and 2012, Menken received a total of 21 awards. He has the most Oscar wins (8) by a grand slam winner and is the second most prolific Oscar winner in the music categories after Alfred Newman. He is also notable for frequently having multiple songs from the same film nominated for major awards. Belafonte has each of the four awards, but his Oscar is a non-competitive award. Harry Belafonte (born 1927), an actor, received his fourth distinct award in 2014. Between 1954 and 2014, Belafonte received a total of 6 awards. Quincy Jones received his fourth award in 2016, as a producer for the musical The Color Purple. 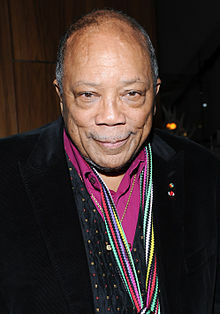 Quincy Jones (born 1933), an American record producer, actor and composer, received his fourth distinct award in 2016. Between 1964 and 2016, Jones received a total of 31 awards — the highest number of awards of any grand slam winner. He has 27 Grammy Awards and a Grammy Legend Award received in 1992. 1964: Best Instrumental Arrangement – "I Can't Stop Loving You"
1974: Best Instrumental Arrangement – "Summer in the City"
1979: Best Instrumental Arrangement – "The Wiz Main Title (Overture, Part One)"
1981: Best Instrumental Arrangement – "Dinorah, Dinorah"
1982: Best Instrumental Arrangement Accompanying Vocal(s) – "Ai No Corrida"
1982: Best Arrangement On An Instrumental Recording – "Velas"
1984: Record Of The Year – "Beat It"
1985: Best Arrangements On An Instrumental – "Grace (Gymnastics Theme)"
1986: Best Music Video, Short Form – "We Are the World – The Video Event"
1986: Best Pop Performance by a Duo or Group with Vocal – "We Are the World"
1986: Record Of The Year – "We Are the World"
1991: Best Instrumental Arrangement Accompanying Vocal(s) – "The Places You Find Love"
1991: Best Arrangement On An Instrumental – "Birdland"
1991: Best Jazz Fusion Performance – "Birdland"
1991: Best Rap Performance By A Duo Or Group – "Back on the Block"
The following people have each won three out of the four major entertainment awards in competitive categories. † – Person is deceased. ◊ – Person has been nominated at least once for a competitive category of the missing award, but has failed to win. TC – Person joins EGOT winners Hayes and Moreno as winners of the Triple Crown of Acting, with singular (non-group/ensemble/company) acting wins in each of the Emmy, Oscar and Tony awards. NCA – Person won a Non-Competitive Award in this category (see section above). ^ In 1996, Julie Andrews refused a Tony Award nomination for her role in Victor/Victoria in protest that the production received no other nominations. She was also Tony-nominated for My Fair Lady and Camelot. ^ With his 2012 Oscar win, Plummer became the oldest (82) to win the "Triple Crown Of Acting"
^ Tony Walton is the only costume/set designer to win three different awards. ^ Trey Parker placed second in the narrative/dramatic division of 1993's Student Academy Awards for his college short American History. In addition to the above winners, the following people have each won three out of the four major entertainment awards in either competitive categories or non-competitive special and honorary categories. Howard Ashman†, ◊ won two competitive Oscars, five competitive Grammy Awards, and a Special Emmy Award for outstanding contribution to the success of the Academy of Television Arts and Sciences' anti-drug special for children. Fred Astaire† won three competitive Emmy Awards, a Special Academy Award, and a Grammy Lifetime Achievement Award. Robert Russell Bennett† won a competitive Emmy Award, a competitive Oscar, and two Special Tony Awards. Irving Berlin† won an Academy Award, a Grammy Lifetime Achievement Award, and a competitive Tony award. Carol Burnett won six competitive Emmy Awards, a competitive Grammy, and a Special Tony award. Walt Disney† won 26 competitive Academy Awards, seven competitive Emmy Awards, and a Grammy Trustees Award. Ray Dolby† won an Academy Scientific and Technical Award, two Technology & Engineering Emmy Awards, and a Special Merit/Technical Grammy Award. Judy Garland†, ◊ won an Academy Juvenile Award, two competitive Grammy Awards, and a Special Tony Award. Eileen Heckart† won a competitive Academy Award, a competitive Emmy Award, and a Special Tony Award. Barry Manilow won two competitive Emmy Awards, a competitive Grammy Award, and a Special Tony Award. Steve Martin◊ won the Honorary Academy Award, a competitive Emmy Award, and five competitive Grammy Awards. Stephen Schwartz won three competitive Oscars, three competitive Grammys and the Isabelle Stevenson Award, a non-competitive Tony Award. Bruce Springsteen◊ won 20 competitive Grammys, a competitive Academy Award, and a Special Tony Award. Thomas Stockham† won an Academy Scientific and Technical Award, a Technology & Engineering Emmy Award, and a Technical Grammy Award. Cicely Tyson won three competitive Emmy Awards, a competitive Tony Award, and an Academy Honorary Award. Eli Wallach† won a competitive Tony Award, a competitive Emmy Award, and an Academy Honorary Award. Oprah Winfrey won competitive Emmy Awards, a competitive Tony Award, and the Jean Hersholt Humanitarian Award, a non-competitive Academy Award. ^ Howard Ashman was never nominated for an Emmy, but won a special Emmy Award for his contributions to Cartoon All-Stars to the Rescue. ^ Judy Garland was never nominated for a Tony, but did receive a Special Tony Award. ^ Steve Martin has not received an Oscar nomination, but has won an Academy Honorary Award. ^ Lynn Redgrave is the only person to date to be nominated at least once for each of the four awards, without winning any. ^ Bruce Springsteen has not received a Tony nomination, but received a Special Tony Award. A PEGOT winner is someone who has won all four EGOT awards as well as a Peabody Award or Pulitzer Prize. Of these five, only Miranda and Sondheim are still alive as of 2019[update]. Miranda was nominated for a 2017 Oscar for Best Original Song but did not win. ^ Streisand's Tony Award was non-competitive. ^ Quinn, Dave (January 24, 2017). "What Is an EGOT? The Grand Slam of Show Business — Explained". People.com. Archived from the original on June 12, 2017. ^ "Creative Arts Emmys: John Legend, Tim Rice, Andrew Lloyd Webber Become EGOT Winners With 'Jesus Christ Superstar'". The Hollywood Reporter. Retrieved September 10, 2018. ^ a b Smith, Liz (June 5, 2009). "Phyllis Newman Honored!" Archived March 3, 2014, at Archive.today. wowowow. ^ Sheehan, Paul (April 2, 2007). "Emmy alert: what to watch on TV". The Envelope. Los Angeles Times. Archived from the original on March 21, 2012. Retrieved January 1, 2010. ^ Graham, Renee (August 19, 2003). "Looking to the stars for a little Hope". Boston Globe. Archived from the original on October 25, 2012. Retrieved January 1, 2010. ^ Long, Tim (February 26, 2008). "The Oscars: Where Is the Love for Philip Michael Thomas?" Archived December 7, 2009, at the Wayback Machine Vanity Fair. "...Thomas took to wearing a gold medallion emblazoned with the letters "EGOT", which stood for "Emmy, Grammy, Oscar, and Tony." As Thomas told an interviewer in 1984, "Hopefully in the next five years I will win all of those awards." As of February 2008, ... only twelve people in history have ever won all four – among them, Mike Nichols, Audrey Hepburn, Rita Moreno, and Marvin Hamlisch. ^ McIntee, Michael (January 12, 2010). "Wahoo Gazette. Show #3244". CBS. Archived from the original on May 7, 2014. Retrieved January 22, 2010. ^ Wallace, Carol (December 9, 1985). "The Ego Has Landed". People Magazine. Retrieved October 1, 2017. ^ Marotta, Jenna (March 24, 2016). "Fact-Checking the Egot, with Philip Michael Thomas". Thrillist.com. Retrieved October 1, 2017. ^ Castro, Iván A. (2006). "Rita Moreno". 100 Hispanics you should know. Libraries Unlimited. ISBN 1-59158-327-6. ^ Simonson, Robert (June 4, 2001). "With Producers, Mel Brooks Has Won Tony, Oscar, Grammy and Emmy". Playbill. Archived from the original on February 19, 2017. Retrieved January 1, 2010. ^ Waldron, Clarence (April 14, 2008). "The view according to Whoopi". Jet. Retrieved January 1, 2010. ^ "As it happened: 12 years a slave, Gravity are big Oscar winners". FirstPost.Bollywood. March 3, 2014. ^ Schwartz, Dana (March 5, 2018). "Oscars 2018: Robert Lopez becomes the first person in history to double EGOT". Entertainment Weekly. Retrieved March 5, 2018. ^ Brandle, Lars (March 5, 2018). "Oscars 2018: Robert Lopez Is The First Double EGOT Winner". Billboard. Retrieved March 5, 2018. ^ Galand, Shayanne; Clark, Travis (September 10, 2018). "This chart shows how long it took all 15 EGOT winners to get their awards, and John Legend was one of the fastest". Business Insider. ^ Scheibelhut, Ashley. "John Legend Is First Black Man To Achieve EGOT Status". www.chill.us. ^ Hogan, Michael (June 20, 2018). "How a Single Emmy Win Could Expand the Tiny EGOT Club by 25 Percent". Vanity Fair. ^ Chuba, Kirsten (September 10, 2018). "John Legend, Andrew Lloyd Webber and Tim Rice Become Newest EGOTs With Emmy Win". Variety. Retrieved September 11, 2018. ^ O'Neil, Tom (August 15, 2008). "Who will be the next winner of the showbiz awards grand slam?". Gold Derby. Los Angeles Times. Archived from the original on June 20, 2010. Retrieved January 1, 2010. ^ Marks, Peter (May 9, 1996). "Adding Drama to a Musical, Andrews Spurns the Tonys". The New York Times. Archived from the original on January 21, 2015. Retrieved October 24, 2014. ^ "About". Archived from the original on April 13, 2014. ^ a b c Holston, Noel (December 1, 2015). "The Ultimate Show Biz Coup: PEGOT". The Peabody Awards. Retrieved March 15, 2019. ^ a b c d Victor, Daniel (February 26, 2017). "Sorry, Lin-Manuel Miranda, No EGOT for You This Year". The New York Times. Retrieved October 4, 2018. This page was last edited on 24 April 2019, at 07:49 (UTC).